The Xbox One Stereo Headset Adapter lets you plug a compatible chat or stereo headset into the Xbox One Controller so you can control your audio experience without taking your hands off the controller. 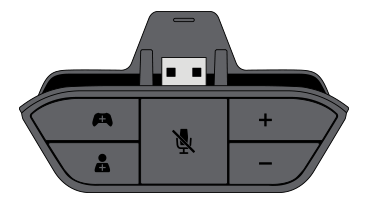 As of June 2015, Xbox One Wireless Controllers include a 3.5-mm port that lets you directly connect a standard 3.5-mm audio cable. 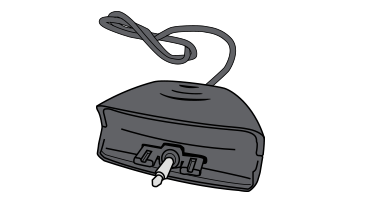 When you connect a headset directly, you can adjust audio control by going to Settings and selecting Devices and Accessories. Just select the controller you're using and adjust the audio from there. 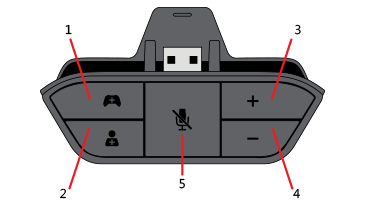 When you use a Stereo Headset Adapter, these options are disabled, since you can control audio right from the adapter. Mute: This button mutes your chat audio so other users can't hear you. It doesn't mute game/music/app audio. This button has an orange LED to indicate that you’re muted. This LED lights up only if you plug a headset into the adapter. Would you like to contact Support regarding the "Set up and use the Xbox One Stereo Headset Adapter" issue you were reading about or a different issue?